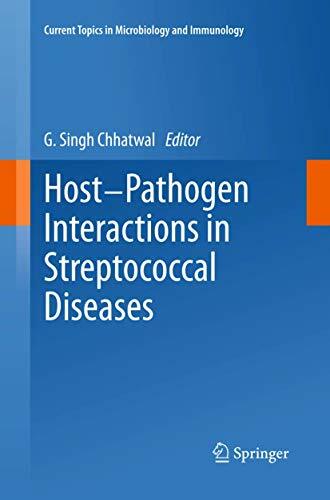 [PDF] Host-Pathogen Interactions in Streptococcal Diseases (Current Topics in Microbiology and Immunology) | Free eBooks Download - EBOOKEE! Description: Streptococci are Gram-positive bacteria that cause a wide spectrum of diseases, such as pharyngitis, necrotizing fasciitis and streptococcal toxic shock syndrome, as well as rheumatic fever and rheumatic heart disease as sequelae. Antibiotics alone have not been able to control the disease and in spite of many efforts an effective vaccine is not yet available. A prerequisite for novel and successful strategies for combating these bacteria is a complete understanding of the highly complex pathogenic mechanisms involved, which are analyzed in this volume. In ten chapters, prominent authors cover various aspects including streptococcal diseases and global burden, epidemiology, adaptation and transmission, and molecular mechanisms of different diseases, as well as sequelae, vaccine development and clinical management. This book will serve as a valuable reference work for scientists, students, clinicians and public health workers and provide new approaches to meeting the challenge of streptococcal diseases. No comments for "[PDF] Host-Pathogen Interactions in Streptococcal Diseases (Current Topics in Microbiology and Immunology)".